The Cincinnati Reds joined the National League in 1890. They are currently in the League’s Central Division and play at Great American Ballpark in Cincinnati. Their team colors are red, white and black. The Reds would have been charter members of the National League, however they were banned thanks due to their policy of selling beer on Sunday. That was forgiven by 1890 and the Reds were allowed to move up to the Big Leagues. Their first three decades were spent mired in the second division, despite some strong offensive season from Sam Crawford and Cy Seymour. 1919 was finally the Reds year. However their World Series victory was tainted when eight players from the opposing White Sox were banned for life from from baseball for throwing the series. The next twenty years were a struggle for the club, with few winning seasons and pretty serious financial problems, thanks to poor attendance and the Great Depression. They turned it around behind catcher Ernie Lombardi and first baseman Frank McCormick with a pennant in 1939 and a World Series win over Detroit in 1940. Another twenty mediocre years followed, although the farm system started to come to life in the fifties, turning out stars like Frank Robison, Vida Pinson, Pete Rose and Jim Maloney, and a little later Johnny Bench, Tony Perez, Ken Griffey Sr. and Davey Concepcion. With this influx of talent the Reds made the World Series in 1961, losing to the Yankees, and they were consistent winners throughout the sixties. Trades for Joe Morgan and George Foster in the early seventies accelerated the era of the Big Red Machine, which included four World Series appearances in seven years including back to back titles in 1975 and 1976. 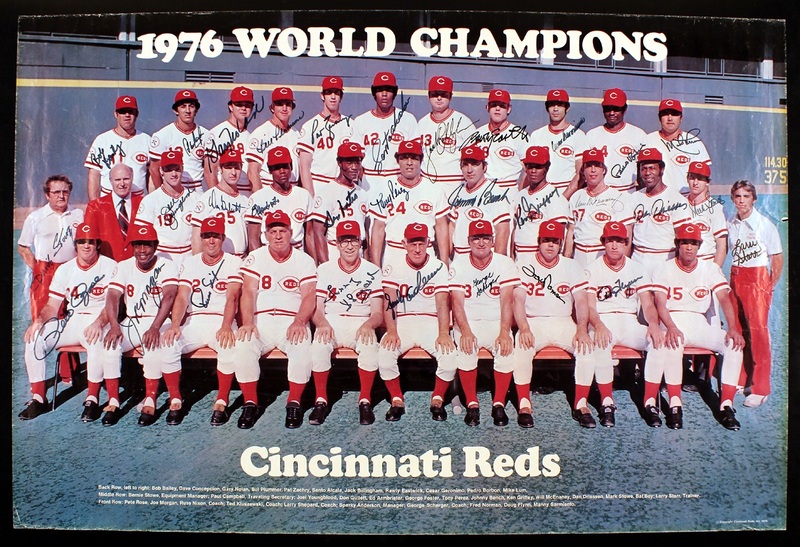 Remnants of the machine kept the Reds competitive into the early eighties, but the rest of the decade was pretty forgettable. They started the nineties with a World Series victory bang and a solid young nucleus featuring Barry Larkin, Eric Davis, Paul O’Neil and Jose Rijo and Rob Dibble. The group wouldn’t make another post-season, although the Reds were somewhat done in by the strike season of 1995 in which they appeared headed for the playoffs. The homecoming of Ken Griffey Jr. in 2000 also didn’t vault the Reds into the playoffs, despite sky high expectations. 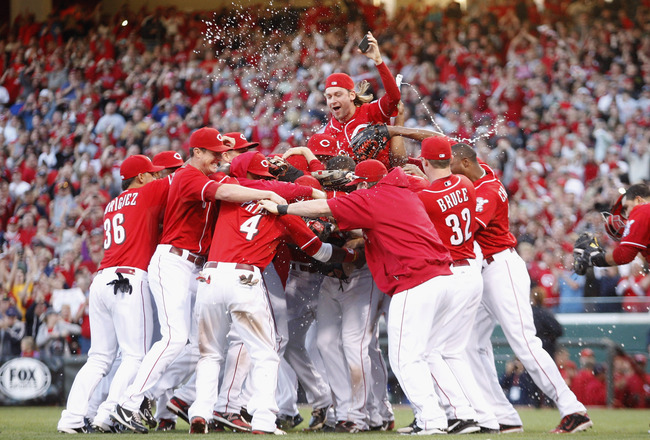 The Reds finally did end their playoff drought in 2010, and then returned in 2012 and 2013. However the Joey Votto and Brandon Phillips-led teams were bounced out in the first round each time. Key players: Bid Mcphee, Sam Crawford, Cy Seymour, Eppa Rixey, Johnny Vander Meer, Ernie Lombardi, Frank McCormick, Ted Kozlowski, Frank Robinson, Vida Pinson, Jim Maloney, Jim O’Toole, Pete Rose, Ken Griffey, Tony Perez, Johnny Bench, Joe Morgan, Davey Concepcion, George Foster, Tom Seaver, Barry Larkin, Rob Dibble, Eric Davis, Tom Browning, Jose Rijos, Ken Griffey Jr., Adam Dunn, Brandon Phillips, Joey Votto, Jay Bruce. Key managers: Bill McKechnie, Fred Hutchinson, Sparky Anderson, Lou Piniella, Dusty Baker. 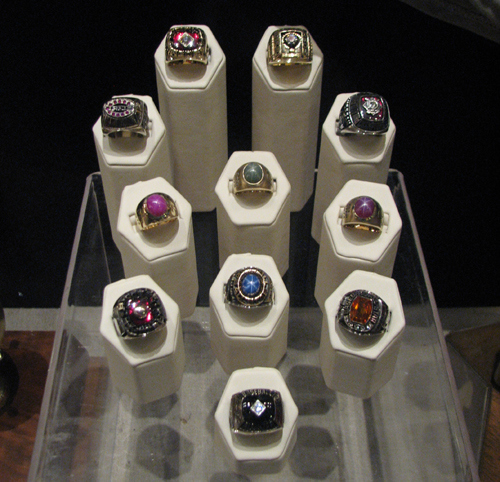 Division titles: 2012, 2010, 1995, 1990, 1979, 1976, 1975, 1973, 1972, 1970. World Series titles: 1990, 1976, 1975, 1940, 1919. All-time record: 10,181 and 9839.